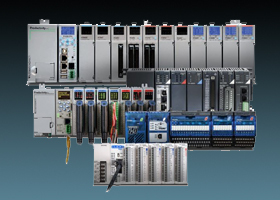 Industry has a seemingly endless variety of machine and process control applications, and a correspondingly wide range of controller choices. When selecting a controller, there are many similarities and some differences to consider. And, while some controllers will control just about anything, others may be more suited for a particular task. This easy-to-read eBook is for users who wish to learn how to do more with their PLC or simply refresh their understanding. 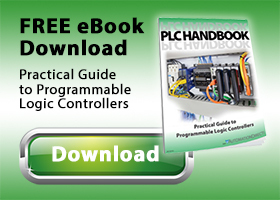 It covers the basics and dives into ladder logic, PID loops, communication protocols, and motion control. Andrew Waugh, Product Manager, Sensor & Safety Products at AutomationDirect.com, wrote an article for the September 2018 issue of Design World titled “Wide and Narrow Views of Position Sensors”, here’s a summary. 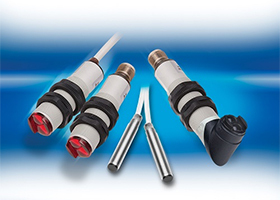 Limit switches, photoelectric switches and laser sensors all provide position sensing, but depending on the application some shine and reflect better. Price Decrease on Building Wire! 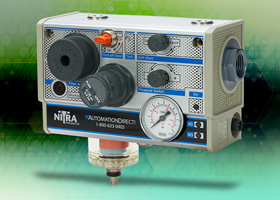 AutomationDirect’s already low prices are dropping again! 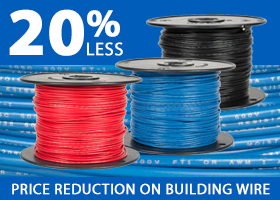 Check out the new lower prices and save up to 20% on some of our most popular building wire. Clean, dry air may enter the plant distribution system, but it still needs to be safely controlled and purified at the point of use. Total air prep units are often the best choice to provide these functions, as opposed to purchasing and assembling separate components. You Could Win a StrideLinx VPN Router! Do you have a remote machine/system that you would like to stay connected to? Well, tell us a little about it and you will be entered to win a StrideLinx VPN router, valued at $450. 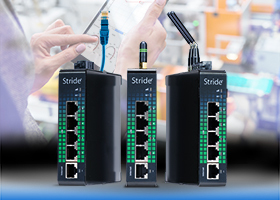 Our favorite entry will receive a free StrideLinx VPN wired router with 5GB of free monthly cloud service in order to securely stay in touch with their remote system.